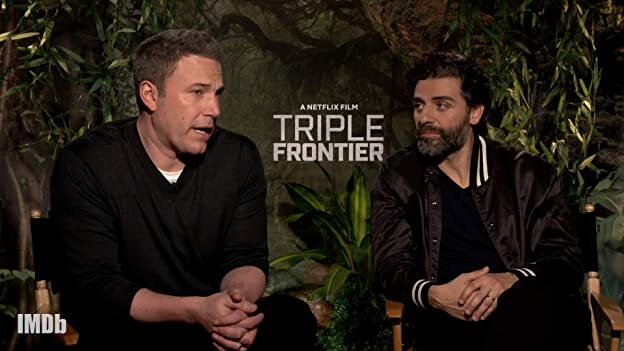 The stars of the new Netflix action-thriller Triple Frontier are a band of brothers both on-screen and off, as Ben Affleck, Oscar Isaac, and their co-stars reveal. Retainment Officer: [at the podium] I have the honor today to introduce you to Retired Captain William Miller. He's been everywhere in the world you all wanna go, and a bunch of places you don't. I've asked him to come and talk to you all today at this important crossroad in your careers. I'm gonna step out so this conversation can be frank and to the point. Q: Where were the Brazilian jungle scenes really filmed? 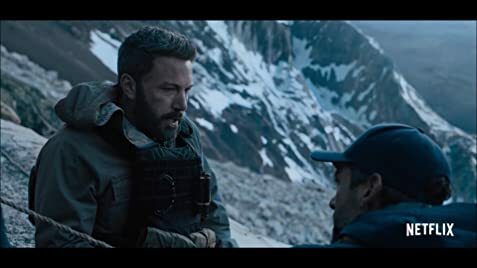 I'm a huge fan of Ben Affleck and Oscar Isaac. So, this movie was a must watch for me. Character building was kinda okay. The Director could have improvised on it and made the characters more interesting by going deeper. Sometimes you feel like, is this person really who I think he is, essentially confusing us about the whole motive. The Thrill factor, well the things that happen in the movie were either obvious or confusing. When the Movie is in the momentum of giving us chills, it suddenly stops and takes a downhill. A ton of things in the movie could be improved. The Director only gives us a quick glance at details and immediately cuts to unnecessary talking. But loved the Concept of the movie, Greed, especially for Money. Disappointed. Expected more. 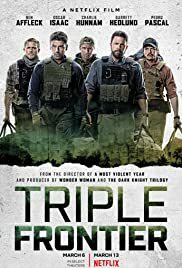 5 stars for the 5 actors and 1 star for teaching us what greed for money can do to us. 127 of 174 people found this review helpful. Was this review helpful to you?